Biography: Faith Center Ministries began in Rwanda in 1995 - just one year after the country dealt with loss and injury through genocide. 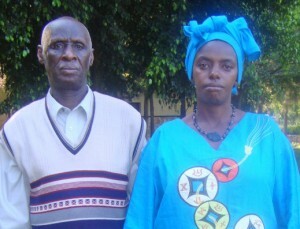 Peter and Agnes had been working in Uganda since 1985. They currently have 21 churches in Rwanda, Burundi, and Uganda. Peter tells us, "Our vision is to reach the whole world preaching the word of God and making disciples." The church has a nursery and children's programs, with a youth ministry that mobilizes the youth to love the Lord and work for their future. They have cell groups as well. Strengths: Peter and Agnes are gifted administrators and pastors.